SEATTLE – Washington lost two starting linebackers this offseason, in Ben Burr-Kirven and Tevis Bartlett. The Huskies had to reload. A four-star recruit and 247Sports’ No. 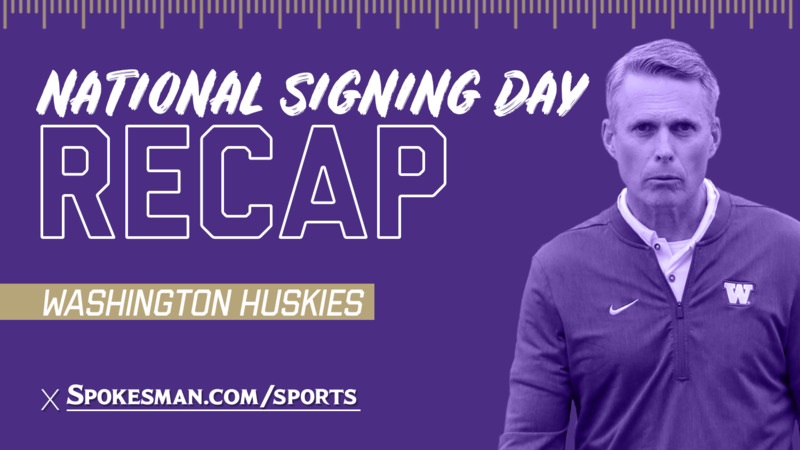 9 inside linebacker in the 2019 class, Heimuli officially inked with Washington during a National Signing Day ceremony on Wednesday. The 6-foot-2, 225-pound linebacker chose the Huskies over Oregon, Alabama, Utah and more. Realistically, though, it was always going to be Washington. Heimuli found a home in Seattle. The Huskies will be happy he did. That was evident in last month’s Polynesian Bowl in Honolulu, when Heimuli finished with six tackles, 3.5 tackles for loss and a sack en route to earning defensive MVP honors. “It was crazy, because one of the workers at the Polynesian Bowl walked up to me and said, ‘Daniel, can you come with me after the game?’ I was surprised,” Heimuli told The Times. “The coaches told me that I had won (MVP), and it was crazy. It was crazy. Heimuli will find a piece of all three on the home sideline in Seattle. His teammate at Menlo-Atherton (California) High School, defensive tackle Noa Ngalu, signed with Washington in December. They won a state title last season, and there may be more to come. Barring any unforeseen developments, they’ll continue to be together for at least a few more football seasons. That’s good news for Washington, which added Heimuli and four-star safety Asa Turner on Wednesday to an already stacked defensive class. Still, their most recent signee brings a unique skill set. “He carried his team to a state championship, not taking any plays off,” Huffman said of Heimuli. “They don’t have a lot of depth on that team, so he was playing literally every snap. He’s tough. He’s got really good durability, but I think his athleticism really is remarkable. Given Burr-Kirven and Bartlett’s departures, Heimuli may be off and running in his freshman season. Published: Feb. 6, 2019, 4:18 p.m. Updated: Feb. 6, 2019, 7:24 p.m.